What is better than a hot, creamy bowl of tomato soup and a grilled cheese on a chilly day? 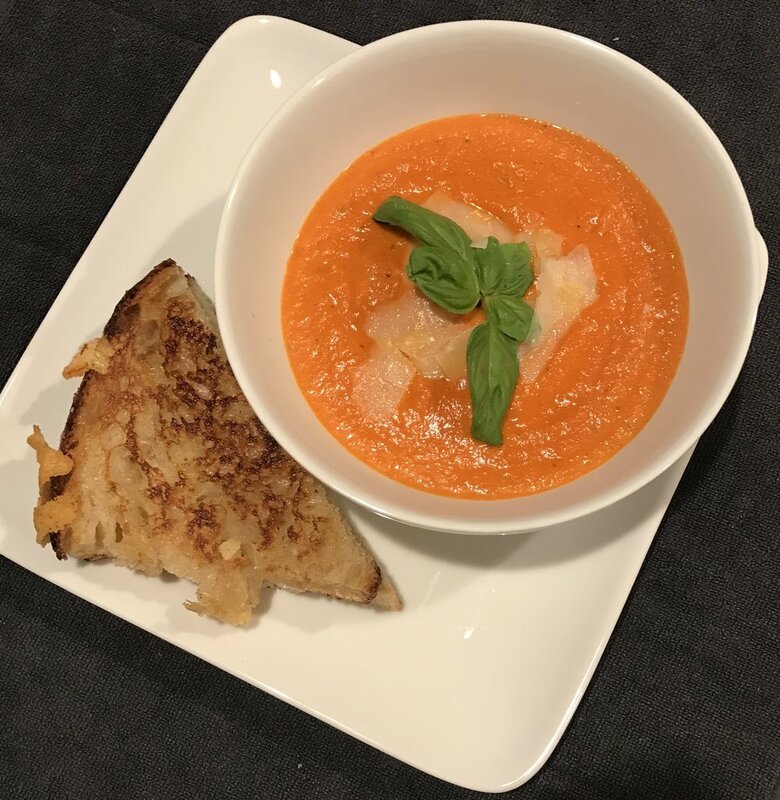 I actually whipped this up one night for a sick friend craving tomato soup with no added sugar. So to cut the acidity I added a carrot for a bit of sweetness. It turned out delish! Melt butter with the olive oil over medium high heat in a 6qt. pot., add onion and carrot, reduce heat to medium and cook until soft. Season with salt and pepper and add garlic, cook 2 minutes. Add fresh or canned tomatoes, cook 3-4 minutes then add tomato paste, stir to combine. Pour in broth, add crushed tomatoes and basil. Simmer covered with lid vented for 15-20 minutes. If too thick add a bit of water to thin. Season with more salt and pepper to taste. Turn off heat and add cream. Use an immersion blender to puree in the pot then stir in the parmesan. Garnish with more parm and basil. Serve with crusty bread or your favorite grilled cheese.